I sleep on the Comfort Choice Latex and it is AMAZING! Also, our guest room bed is a comfort choice and that one is over 15 years old and it is still in perfect condition! I have slept on Jamison mattresses my whole life and would never choose another mattress company. Thanks for your contribution, it's always good to hear about a positive experience and Jamison appears to be one of the better mattress brands out there. 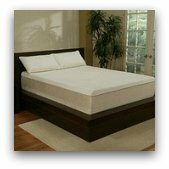 Latex mattresses in general tend to have better reviews because they can be more comfortable and durable, when well built, than innerspring models. Another advantage of latex is that it's possible to create a mattress with varying levels of firmness such as the Jamison Comfort Choice latex mattress. This is done by using firmer latex foam on one side and softer on the other, thus giving the sleeper some options, and lowering the chances of needing to return the mattress due to comfort issues. Join in and write your own page! It's easy to do. How? 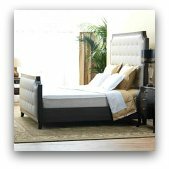 Simply click here to return to Jamison Mattress Reviews.